No kicking this adorable little stuffed ladybug out of your house. 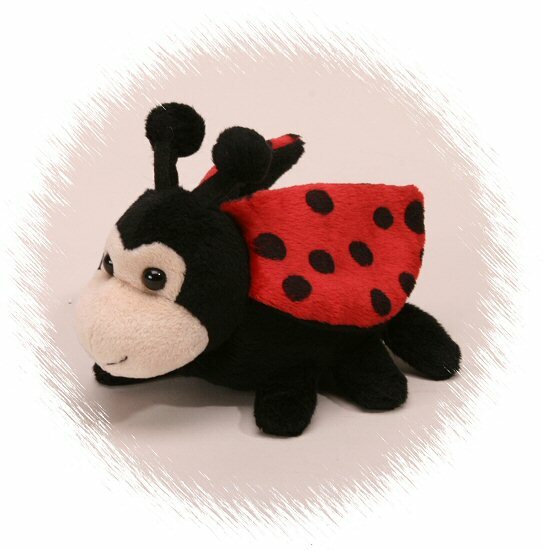 You will love this Handfuls plush ladybug's soft black body, floppy red wings with black spots, peach face, and perky black antennae. This little stuffed bug is definitely a friend for life!